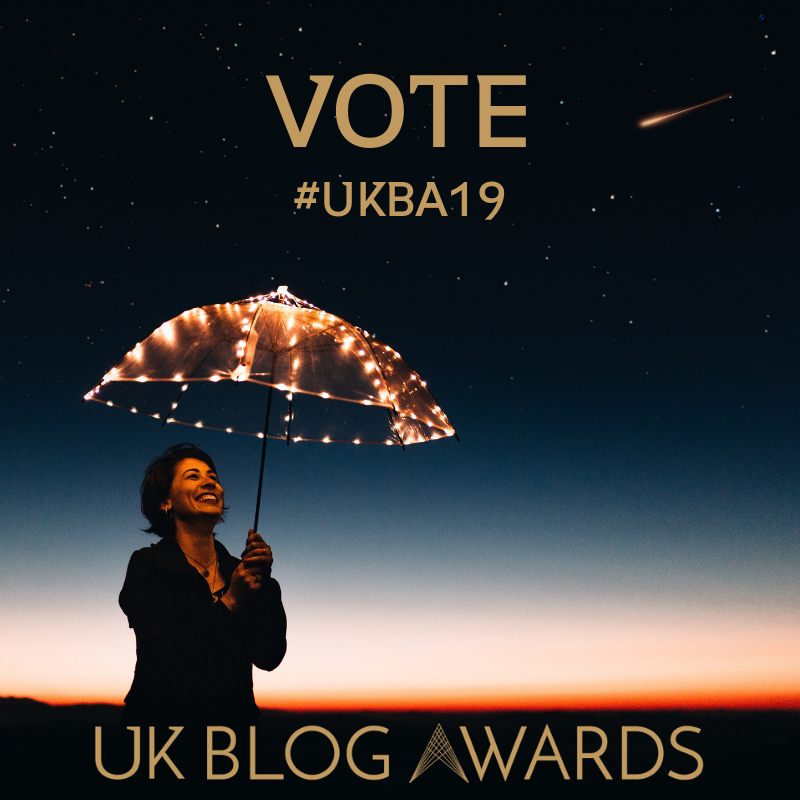 The U.K. Blog Awards are now open for voting! To get to the final round it's 40% public vote and 60% judges scorecard. This is the last blogging awards I will post about this year! I would be honoured if you would take three minutes to vote for me. You just click on the category "Parent and Baby" and click the red heart next to "Coraline and Us" (we are on p.3). We are also in the Category "Wellbeing" if you can go there and click the red heart next to "Coraline and Us" (we're on p.3). Thank you so much. The deadline to vote is 21 December 2018. The reason I am entering awards is that I would like to one day write a column and a book, and feel it's all paving the way!